Flat basketballs are incredibly frustrating. You’re ready to play, you’ve got a ball and a hoop, and you realize that the ball is just that little bit flat. If you don’t have an air pump readily available, your session is finished before it even started. 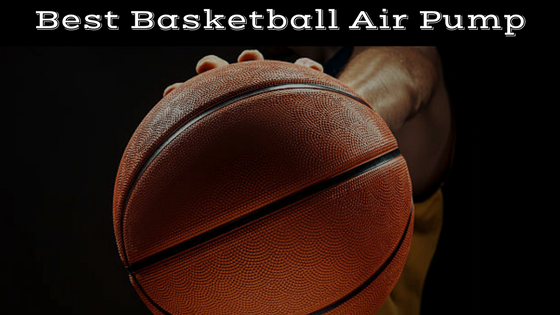 That’s why it’s so important to have one, and this review will help you to find the best basketball air pump this 2019 season. What is the proper air pressure for a youth basketball and for an adult basketball? Miracol Dual Action Ball Pump Review: Miracol have created the best basketball air pump this 2019 season with this design. The dual action feature in this ball pump means you can pump up your basketball twice as fast, minimizing both the time and effort required to get your ball to its proper playing weight. It’s also shaped in a way that makes it easier and more comfortable to hold, avoiding that awkward position you need to stand in with most regular pumps. It’s small enough to store easily in your basketball bag, and with four replacement needles, you won’t have to face that terrible realization that despite having a pump, you have no needle, and can’t pump up your ball. Coming in at a very low price, this is a fantastic product, and will ensure you never have to worry about having a flat basketball again. Under Armour Dual Action Ball Pump Review: Like the Miracol pump, this Under Armour product has a dual action feature, which enables you to get your ball fully pumped in half the time of a normal pump. Another great feature of this product is the ball specific gauge. This allows you to check the air pressure within your ball, so you know for sure when it’s at an optimal level, ensuring you won’t be stuck with an extremely bouncy ball, or one that is still slightly flat. The Under Armour dual action ball pump also comes complete with two extra needles for when you inevitably lose the first. Being from a big name brand, it is a little more expensive than it’s competitors, but considering it’s the best ball pump with gauge for basketball, it’s probably worth it. Champion Sports Economy Electric Inflating Air Pump Review: This one is a little different. The Champions Sports Economy Air Pump is an electric pump, removing the need for you to painstakingly pump up your basketball manually. Simply plug this in, switch it on, and your ball will be ready to go in no time. With 100 volts of power, this is a quick and efficient way to pump up your ball, and is easy to use. The pressure gauge will let you know when your ball is pumped, and with a simple flick of the off switch, you’ll be ready to start shooting. This is the best electric air pump for basketballs, and will last you a long time, though the down side is, of course, the cost. With so much more going into this product it invariably costs a lot more than a manual pump, though for the amount of time and effort it will save you, the extra cost might be justified. Sukoa Sports Ball Pump Review: This pump has very few flaws; it’s easy to use, pumps up your ball quickly, and lasts a long time. The Sukoa Sports Ball Pump comes with an easy grip handle, simple to hold onto and removing the frustration that comes with a lot of more awkward air pumps. The handle is 10 inches long, meaning you can pump more air into the ball with a single pump, and get it ready for your pick-up game in less time. With a 100% money back lifetime guarantee, you can be sure that Sukoa have done everything they can to ensure this pump lasts, and you will get some serious use out of it. This one doesn’t come with any extra needles, so you will need to buy some, but they are generally extremely cheap so it shouldn’t be a major issue. Fitness Factor Small Dual Action Ball Pump Review: Fitness Factor have come through with the goods with this product. Like a couple of the others mentioned in this list, this one has a dual action pumping system, meaning you’ll get your ball from completely flat to game-ready in the blink of an eye. It’s a pretty small pump, meaning you can hide it in the corner of your gym bag without even knowing it’s there, and keep it safe alongside the two spare needles that come with it. This ball pump also comes with a lifetime warranty, meaning you’ll have peace of mind in the knowledge that it isn’t going to come apart or wear out, and even if it does, you’ll get your money back! Not that that’s a major problem regardless, as this product comes in very cheap, meaning you’ll get a great air pump for a great price if you choose this item. Kensun D1001 Heavy Duty Air Compressor Review: There are a number of problems with this product that should act as major warning signs for potential buyers. To start with, it struggles with the actual process of pumping. It is extremely slow, and will probably take no less time than if you hand pumped your basketball. On top of this, some users complained that it began to smoke after use, or that it simply stopped working after it was pushed a little. Considering you’ll be forking out a pretty major amount of money for this product, there’s very little reason to buy it to pump up your basketball. This is probably the worst basketball air pump this 2019 season, so look elsewhere. Suddora Hand Air Pump Review: This pump is cheap and easy to use, but there are many products that are essentially a better version of the same thing that will cost you around the same price. The Suddora Hand Air Pump is not made out of quality materials, which results in one major flaw – the needle tends to come off. Most people have had to deal with that terrible feeling of pulling the pump out of the ball and seeing no needle on the end, and knowing that your basketball will never be the same again. Many users reported this exact problem with this pump, with some reporting to super glue to keep the needle attached. There are many higher quality products for the same price, so you should definitely avoid this basketball air pump. Though they generally aren’t very expensive, the difference between a good pump and a bad pump can be the difference between you being able to have a proper pick-up game, and not being able to play at all, so it’s important to do a little research prior to buying. This buyers guide will list some of the most important factors you need to consider before you buy to make it that little bit easier. Manual or electric? 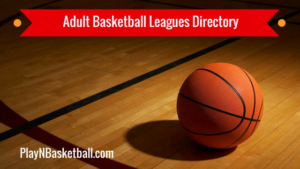 – As you saw in the list above, there are two different types of air pumps you can use to inflate your basketball. Manual air pumps are the most common, but they are a little more labor intensive. They require you to physically pump the ball up yourself, and if they aren’t high quality, this can take quite a while and be relatively tiresome. They are, however, generally far cheaper than the alternative, and better pumps can work pretty quickly. The other option is an electric pump. These are usually reserved for bigger items like tires, but work perfectly well with basketballs. If you find a good one, all you need to do is plug it in and flick the on switch, and your ball will be ready to go in a matter of seconds. Of course, these come in far more expensive than manual ones, so that is definitely something that needs to be considered. Quality: Some may not think there is a major difference between different air pumps, but they’d be wrong. For a manual pump, a good quality pump will allow you to easily inflate your ball, while a poor one can completely ruin it. The worst manual pumps are poorly constructed, meaning the needle often comes apart from the main section of the pump while it’s inside the ball. This means there’ll be a needle rattling around inside your ball for eternity, and even if it doesn’t pierce the inner layer, it will rattle around and cause you plenty of headaches. For electric pumps, it’s arguably even more important to ensure you choose a good quality product. Given they are electric, when these pumps are of low quality they invariably suffer a huge range of defaults, making them far more trouble than they’re worth. Price: This is a factor directly related to the two above. Different types of manual needles do vary in price, so even if you decide on this option you will still need to determine how much you’re willing to spend. The major price concern to be addressed, however, relates to whether you’re able to fork out a lot extra for an electric pump. There’s no doubt these make things easier if you choose the right one, but you’ll pay the price for it. Often, these come in at over USD$100, compared to around USD$10-20 for manual pumps, so it’s a major difference. They aren’t easy to transport, so the extra cost is only worth it if you know you’ll predominantly be using it at home, but if you do have the money then you will save a little bit of hassle. You can also use it to pump up bigger things than basketballs too, meaning you’ll get multi-purpose use out of it. Whether you’re willing and able to drop that extra cash on it though, is another question. Generally, the recommendation is around 7-9 psi. Psi means pounds per square inch, and is the most commonly used measurement for inflation. Most balls will have a recommendation written on them, which you can certainly use as a guide, but in general these will fall within the parameters mentioned above. Often, and particularly if they are only starting out, it’s better to leave youth basketballs a little less inflated, so they aren’t as bouncy, are easier to control, and are less likely to cause injury. In these cases, sticking to around 7-7.5 psi is probably a safe option. Adults will usually pump their ball to around 8 psi or so, which is around what the balls are at for most professional leagues. There’s no use in having a great basketball and all the best equipment if you can’t pump up your ball. That’s why it’s important to buy the best basketball air pump you can find, and there are a number of things you need to consider in order to do this. 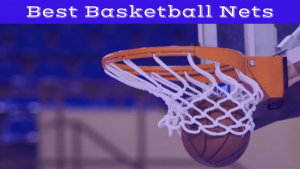 This article has helped to clarify some of these considerations, as well as detail the best basketball air pump this 2019 season, meaning you won’t have to do all of that time consuming research yourself.